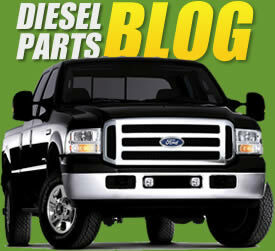 If you are in need of repairs for your Ford Powerstroke high pressure oil pump, we have all the parts and hardware necessary to get the job done as quickly and easily as possible. We know how vital it is to have your entire assembly made of reliable, quality parts so that you can get the performance you need every day. Having a vehicle that can handle any job that comes its way is important so that you can work without hassle, and a quality oil pump will increase performance and efficiency in the long run. Take a look at our wide selection and get great parts in no time. There are many different options that will help you repair and restore with ease. Our Ford Powerstroke high pressure oil pump parts include rail ball tubes, valves, dummy plugs, O-rings, gaskets, fittings, plugs, and more. Each part is as certified for its quality and reliability. Search by product number to find the exact match for your needs and make your repairs hassle free. If you need help getting the right hardware, our expert service team will be happy to help, so feel free to contact us and we will make sure you get great parts in no time. If you need a more extensive or specific repair job, entire kits can make the process easier than ever. Ford Powerstroke high pressure oil pump repair kits come with a variety of hardware that will ensure you experience less hassle and can do a quality job sooner, getting your vehicle back to work in no time. From front engine covers to pumps and valve seals and more, they provide a variety of parts in one package. This will help you get all the different parts you need at once, saving you time and money. For pumps that are beyond saving, we are happy to provide entire machines so that you can get back in working order immediately. Both 6.0 and 7.3L engines are supported so that you can find the right match for your vehicle. With all seals and gaskets included, installation is quick and easy. We know how important reliability is, so you can rest assured that all of our hardware is of the highest quality and will last for years to come. All high pressure oil pumps offered by TamerX are fully factory remanufactured in the USA and are backed by our 2 year, 1 million mile replacement warranty. This pump comes with all seal and gaskets need to complete the installation. This a completely remanufactured high pressure oil pump. All components are cleaned, inspected, and reworked or replaced. This pump is assembled using the highest quality Viton o-rings. This pump comes with all seals and gaskets needed to complete the installation. This a completely remanufactured High Pressure Oil Pump. All components are cleaned, inspected, and reworked or replaced. This pump is assembled using the highest quality Viton orings. This pump includes all seals and gaskets needed to complete the installation. This a completely re-manufactured High Pressure Oil Pump. All components are cleaned, inspected, and reworked or replaced. This pump is assembled using the highest quality Viton o-rings. This pump comes with all seal and gaskets need to complete the installation. This a completely remanufactured High Pressure Oil Pump. This pump is assembled using the highest quality Viton orings. This is the tool most Professional Mechanics use to Remove the lines from the High Pressure Oil System On the Ford Powerstroke Diesel. The lines use a special connection called Snap To Connect (STC). This is a high Quality to made to last a lifetime. This is a high pressure oil pump hose kit for the Ford Powerstroke 7.3L (1999-2003) and the International/Navistar T444E (1999-2004). These hoses are made in the USA with the highest quality materials available.